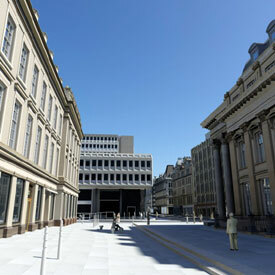 Glasgow City Council has procured an extension of the 3D Model Area in 2017 at block detail which can be found under related documents. To improve the quality of all new developments on the ground. See below some examples of how the Glasgow Urban Model is currently being used in liaison with the private sector for new city developments. Mixed-use development to comprise 18, 227 square metres of shop, offices and restaurant floor space including mezzanine space. 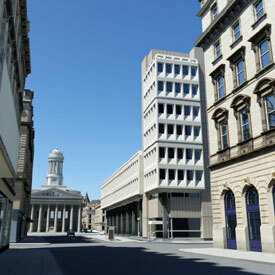 The New Campus Glasgow has created a new city centre learning quarter and bring together Glasgow's three city centre colleges to deliver world class learning on a shared super campus - Central College Glasgow, Glasgow Metropolitan and Glasgow College of Nautical Studies. 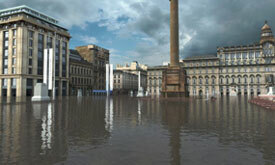 George Square example of flood testing. The Urban Model data was used by the AAIB team (Air Accidents Investigation Branch/Department for Transport) to assist the on-going investigation of the helicopter crash that occurred at the Clutha Vaults pub in Glasgow on 29 November 2013. 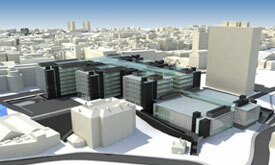 In 2009 Development and Regeneration Services launched the Urban Model Licence that allows third parties to acquire the original 3D Data from the Council. Anyone can licence the Urban Model data. The Licence Agreement is prepared by Glasgow City Council in liaison with the licensee and any fee is calculated by the sqm. (*) This is a standard Licence Agreement, each agreement will be prepared ad hoc with the licensee. If you wish to enquire about how to go about licensing a specific area included in the City Model or for further information relating to fees please contact us at Development and Regeneration Services. How does the Online Model Works? 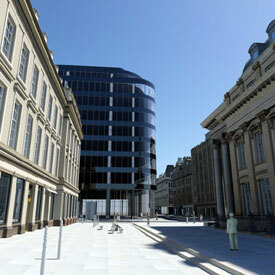 The link below will download the Urban Model at block detail. Click on the banners, as shown on the screen, to access the photo realistic version of the model of the area in question. Please remember to be patient while downloading these files, as the amount of data being streamed is considerable. You can navigate through the area by using the joystick on the top right hand corner of the screen. You will require the latest version of TerraExplorer Viewer v6.6.1. This is a piece of free software available from Skyline Globe. You will require a PC with the appropriate level of memory, graphics capability and internet connection. Full system requirements are set out below. For Apple Mac users: We apologies for being unable to provide access to the model for Mac users. Internet Connection - 1MB or more Broadband connection. Browser - Microsoft Internet Explorer 5.5 or higher should be installed on machine. Please be aware that due to the large file size it may take several minutes to download all of the model. Please be patient - you are downloading large files. 22-23 April 2009 - Glasgow - "Digital Documentation Conference" organised by Digital Design Studio and Historic Scotland. 15-18 October 2008 - Rostov-On-Don, Russia - "The Construction-Architecture Forum." 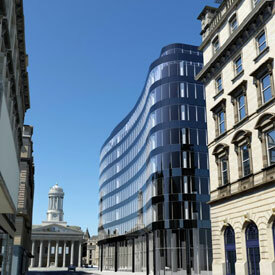 Scottish Awards for Quality in Planning 2009, Winner of the Development Management Award. July 2009 - APSE Awards, Best Information and Communication Technology Initiative (Finalist). 22 September 2007 - Winner of the Merchant City Festival Award for Innovation Specialising in Interactive Media, at the BAFTA Scotland night.